I found this recipe on Pinterest.Here is the blog it is from. This was really easy to make. My husband loves anything that is buffalo chicken so he loved these more than. 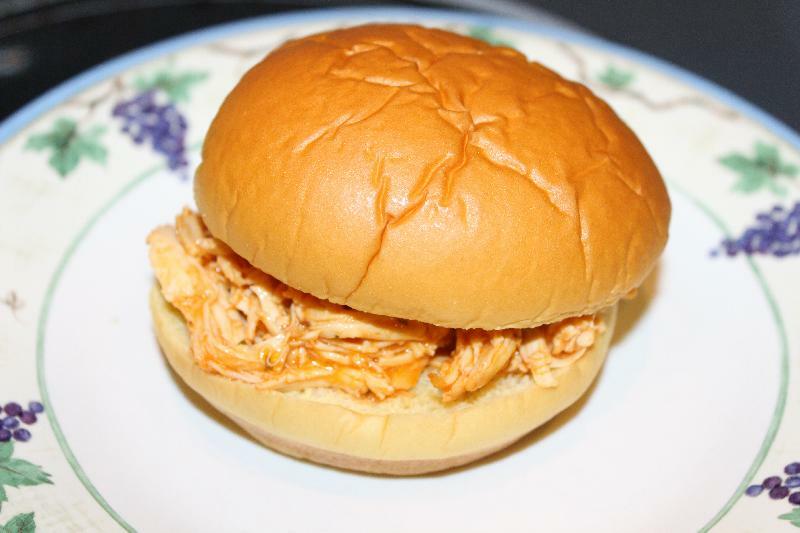 I used a potato roll instead of a regular hamburger bun and it went along perfectly with the buffalo chicken. This was really easy to make and there were not many ingredients. This would be great to serve at a party as there wouldn't be much prep. Line the crock pot with a liner. Put the chicken breasts into the crock pot. Pour the whole bottle of Frank's over the chicken breasts. Then sprinkle the ranch packet on the top of the chicken breasts. Cook on low 6-7 hours. If the chicken breasts are not frozen they will probably cook in about 3 hours. Use two forks to shred the chicken and return it to the crock pot. Then add the butter and stir. Cook for an additional hour. Serve on rolls/buns. You can serve them with a side of ranch or my favorite blue cheese dressing. 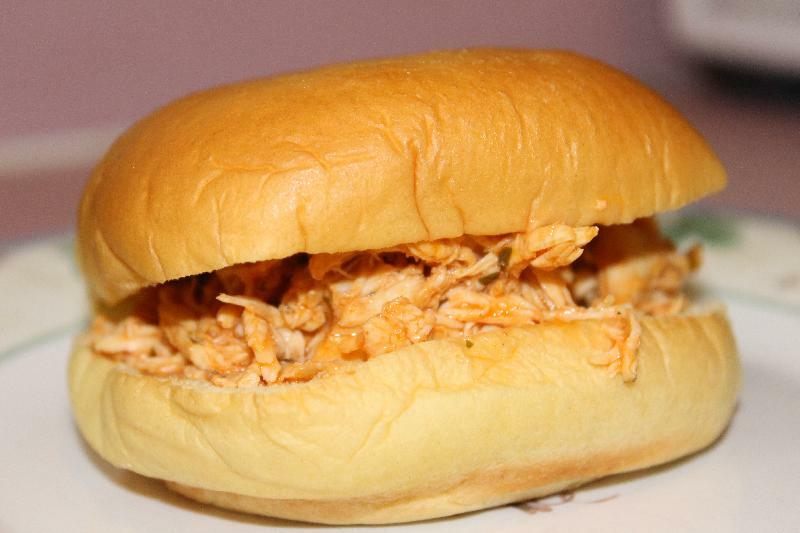 Description: Buffalo chicken on a bun!